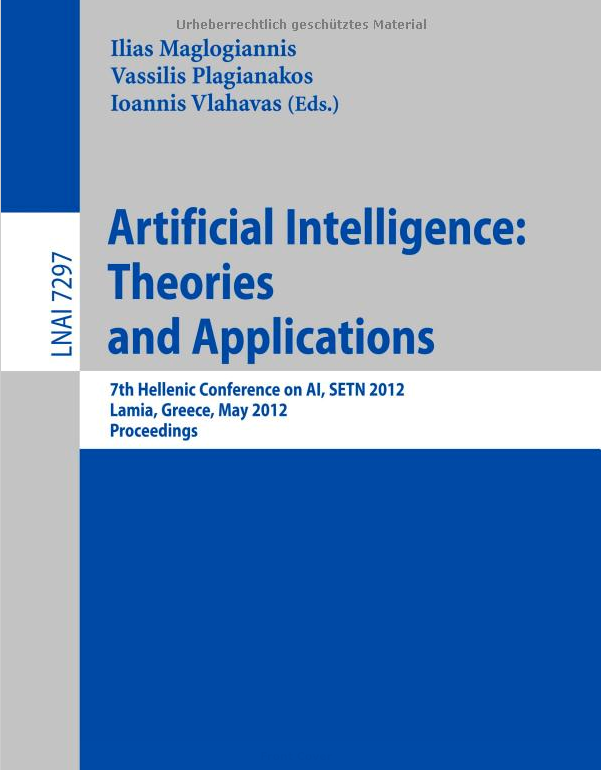 This book constitutes the proceedings of the 7th Hellenic Conference on Artificial Intelligence, SETN 2012, held in Lamia, Greece, in May 2012. The 47 contributions included in this volume were carefully reviewed and selected from 81 submissions. They deal with emergent topics of artificial intelligence and come from the SETN main conference as well as from the following special sessions on advancing translational biological research through the incorporation of artificial intelligence methodologies; artificial intelligence in bioinformatics; intelligent annotation of digital content; intelligent, affective, and natural interfaces; and unified multimedia knowledge representation and processing.